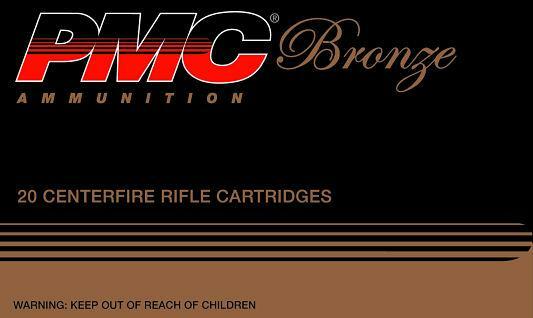 For shooters and hunters who appreciate affordable quality ammunition, the PMC Bronze Line offers reliable performance for every shooting application, from target shooting to hunting. This long-popular ammunition line makes it possible for hunters and riflemen to enjoy high volume shooting without emptying their wallets. Bronze ammunition is available in Full Metal Jacket (FMJ) bullet types. .223A Remington, .308B Winchester and .50A.